Earlier this week the first images of Peter Dinklage as Bolivar Trask surfaced for Bryan Singer's upcoming X-Men: Days of Future Past. In addition to that tidbit of news, Singer tweeted out the following pic of a Trask-built Sentinel. 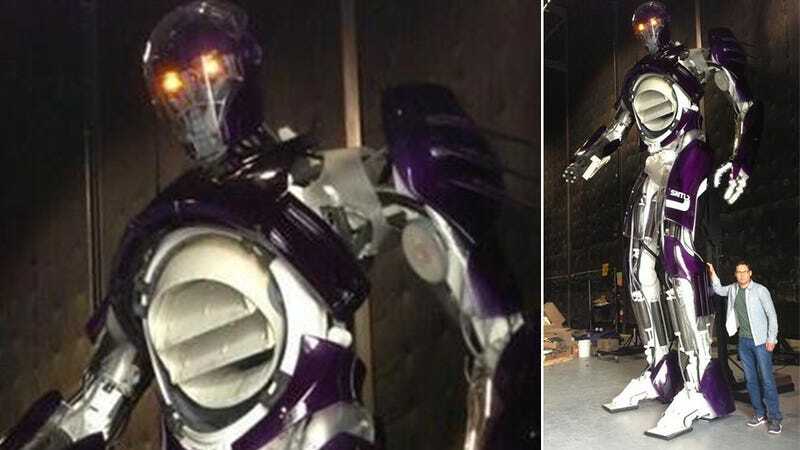 It might not look exactly like the Sentinels from the comics or animated series, but given that these were built for a live-action movie, they're not half bad at 18-feet tall! 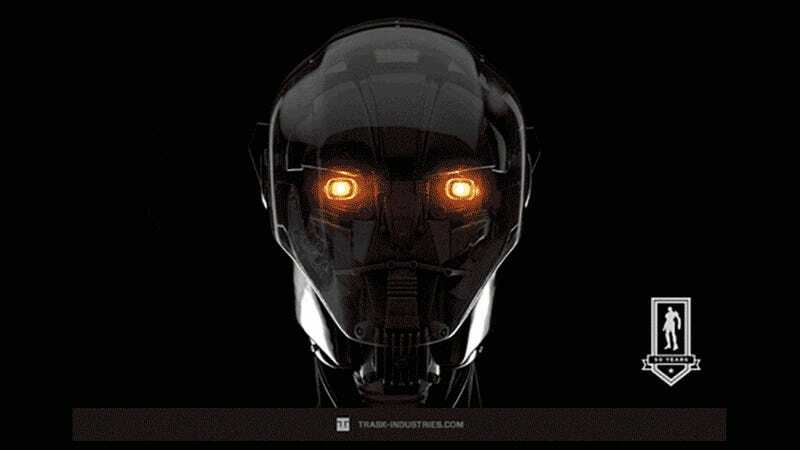 The first Sentinel was teased at the end of last month in the following Trask Industries ad. And here's a close-up of a Sentinel's noggin.